In this 6 disc DVD set you will learn how to fight with Yiquan. Training includes an emphasis on the practical application of the mind. How to build Yi, how to test it and how to use it effectively. Learn to dominate the position and overwhelm an attacker. Internal principles & energies of Yiquan including: condensing, spring, floating, root and more. Sigung Clear first began learning Yiquan from his original Xing Yi teacher Tyrone Jackson. Kuo Yun Shen > Wang Xiangzhai > Lee Ying Arng > Dr. Fred Wu > Tyrone Jackson > Richard Clear. Wang Xiangzhai is also the creator of Yiquan. Master Wang felt that Xing Yi was often taught with too much emphasis on ‘outer form’, neglecting the essence of true martial power. So in the mid 1920’s He started to teach what he felt was the essence of the art and simply called it Yiquan. An approach that is similar in many ways to the Kuntao emphasis on practicality and function over form. Because of Master Wang’s influence, the Xing Yi that Richard Clear learned from Tyrone was mixed with Yiquan and heavily influenced by this philosophy of focusing on the essence of the art. Of course, Sigung Clear has continued his studies since that time. Learning Xing Yi & Yiquan from a number of skilled teachers in the US and in China. Including from his Kuntao & Silat teacher Willem deThouars. Our upcoming Yiquan course is a distillation of this study. It will focus on the core of Yiquan and teach you why it does what it does and how it does it. 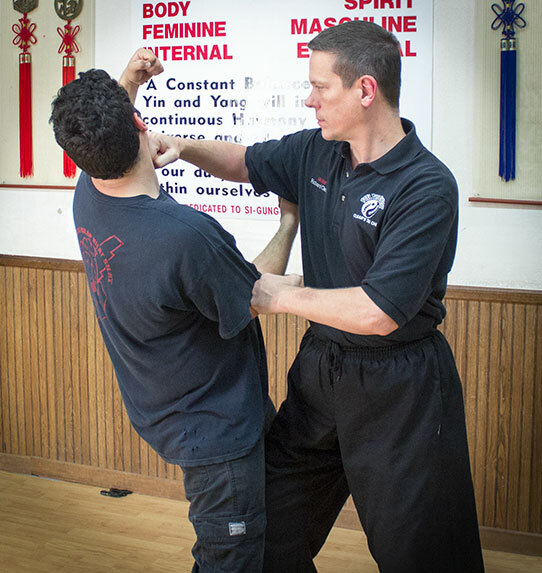 1 As a standalone program this course will teach you how to fight with Yiquan, why it does what it does and how to build the internal skills it’s known for. 2. For our Xing Yi students, this should be considered an advanced training module. It will teach you the Yiquan part of our Xing Yi curriculum and take your skill to another level.